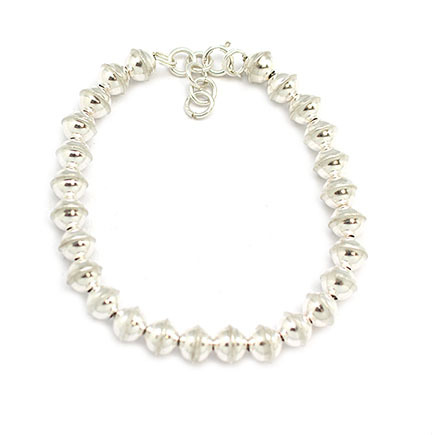 This bracelet is strung with 7mm seam sterling silver beads and is finished off with sterling silver loops and clasp. 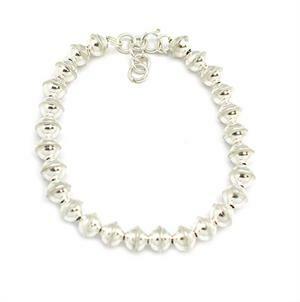 It measures approximately 8 1/2" long with extra loops. Crafted by Navajo artisan Gerald Benally.